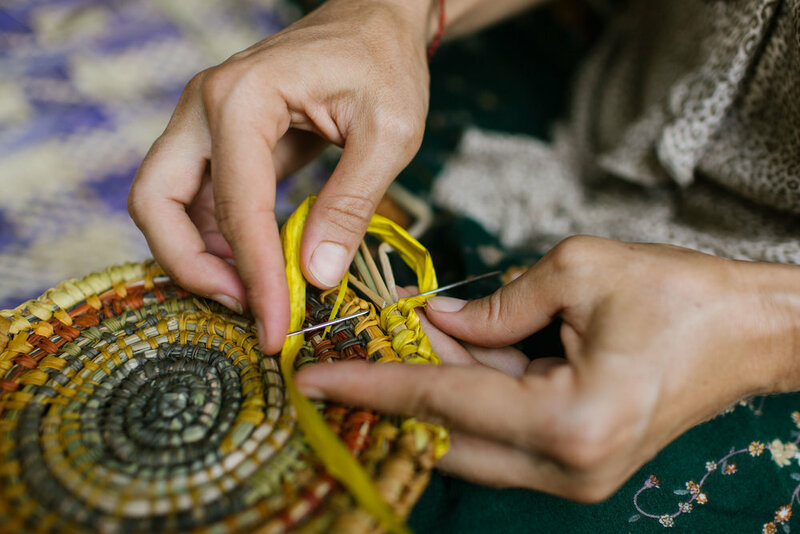 Nature Philosophy's BARE Weaving Programs are facilitated group experiences which offer healing, fun and creativity for women of all ages. We welcome you to join us at one of our upcoming 2019 programs. Have you always wondered how to include vibrant rainbow colours into your baskets? 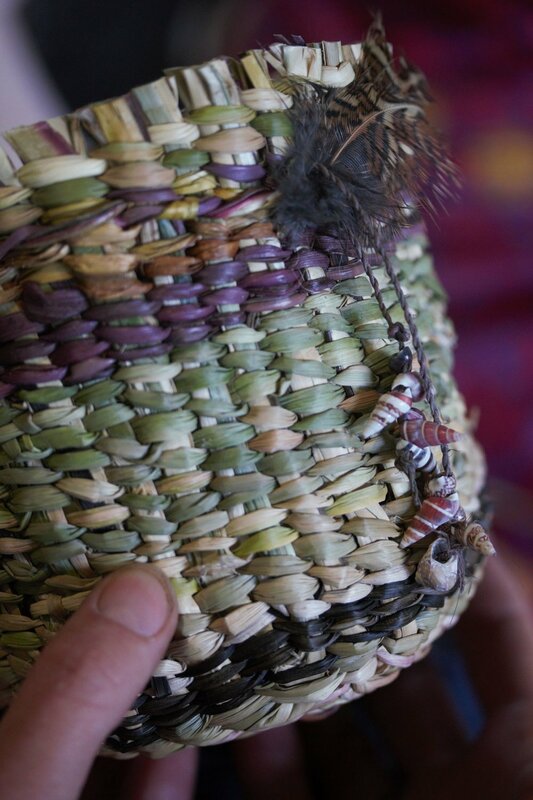 Join us for one of our exciting 2019 programs & learn the art of weaving with natural dyes exclusively on native fibres. This is going to be an amazing 5 Day Workshop which deeply explores the depth of knowledge held by BARE Weaving facilitators Ingrid Riverstone, Kate Rydge & Vanessa Morris. We will cover plant identification, collection and processing, natural dyes, Dilly Bag weaving (hand twining technique), weaving decorations and bark string creation. We will also be delving into the connection between women's ceremony and weaving. Joining us for this 5 Day workshop will allow you to take your understanding of weaving to the next level. There will be a chance to dive deeply into your own creative process as the workshop evolves. This gathering of women on the sacred land at Thumb Creek (below) will connect us all to the land and an ancient tradition of women’s wisdom. ** BOOKINGS - please go to the link below, fill in the online booking form & send in your deposit of $250. We will then be in touch with your Participant Information. COST: $750 per participant GST incl. (Price includes all weaving materials, natural dyes, 5 days expert tuition, coffee/tea and dinners). Limited accommodation available, tent camping available. Add $25 pp person pernight camping fee. 3 x room in options from $30 - $45 pp per night available also. ** EARLY BIRD - BOOK BEFORE 15th MARCH, $650 PER PERSON. GST Incl. Add $17 pp pernight camping fee. 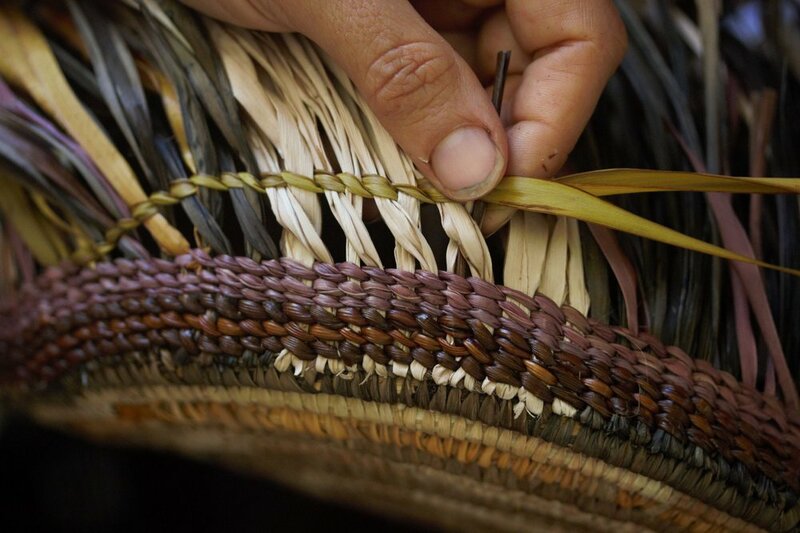 BARE Weaving Workshops birthed from Kate Rydge and Ingrid Riverstone's passion to share basket weaving skills with local women on the North Coast of NSW. BARE Weavers Ingrid & Kate focus on weaving with local native plant fibres and only dye with natural materials. Joining us for a workshop will connect you with an ancient tradition of women’s wisdom and immerse you into a deeper connection with your local environment.